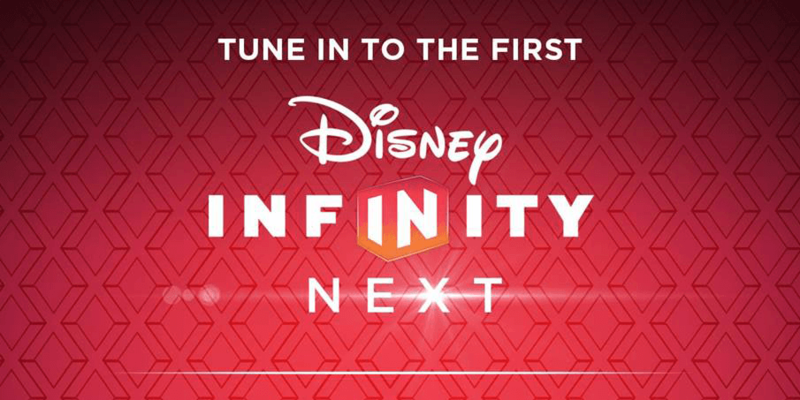 March 1st is almost here, and with it brings the first “Disney Infinity NEXT” event. So I wanted to take some time to sit back and give you my predictions and thoughts on the event. First off, let me first say how beyond excited I am for these Disney Infinity NEXT events. I feel this is exactly what this franchise and community needs to get better communication and hopefully get rid of the leaks. Let me pull back on the reigns a bit. The internet has been going WILD with theories, hopes, dreams, and everything else (as you would come to expect with anytime Disney says they are going to announce something). But let me bring you back to the first sentence of this article, you may have noticed a word I have in bold. This is the FIRST Disney Infinity NEXT event, meaning there are more to come. Head to the website, and you’ll notice the other important branding as well. This is the Disney Infinity Next Spring 2016 edition. So this event will be solely focussing on what’s coming next to Disney Infinity 3.0. Not what’s coming in fall 2016, in 2017, etc. This is not the big “product announcement” event. This is what you should expect to come next to Disney Infinity 3.0. So what is coming next? Let’s get to it. What do we know is coming to Disney Infinity? There are a lot of products we know about via various leaks or previous teases that could be announced. This is not what I think is going to be announced, per sey, but this is what we know is coming. So there is a lot of product yet still to come to Disney Infinity, and it’s a safe bet there could still be more to come that we don’t even know about yet. What do I think will be announced? Again these events are to focus on what is coming next. We know all but a few of those items in the list above are coming March 15th. So most of those will get announced. Disney Infinity will have to be showing off / officially announcing: Ant Man, Black Panther, Black Suit Spider-Man, Vision, Marvel Power Disc Pack, Boba Fett, Light FX Kylo Ren, and Baloo. All of those (except for Light FX Kylo Ren) have been confirmed as a release on March 15th (or in the surrounding dates depending on your region). Light FX Kylo Ren is absolutely coming as he is available for pre-order at a couple of different websites in various countries, but the date has not been officially pegged down. But it seems like March 15th would be a smart move with everything else coming out that day. Thanks to an official French Disney publication, we know that Alice, Mad Hatter, and Time will be coming to Disney Infinity 3.0. We also know that we are getting at least one more play set for Disney Infinity. Due to the leak of the Alice in Wonderland content, it would make sense that the Play Set be Alice in Wonderland. But that is not confirmed yet. Since the publication felt it was okay to publish, and since that this is the “Spring” edition of the Disney Infinity NEXT event, it would make sense to announce this content now. Alice In Wonderland: Through the Looking Glass comes out in late May. So I can’t imagine Disney would host the “NEXT” event before then, though it is a possibility! But still, if I was Disney, I’d use the event now to announce it. If it is three months out, with the notoriety of Disney leaks, it’s best to get it out now. I still think there are more figures to come in the first half of 2016, specifically Marvel. So perhaps Disney Infinity decides to give us a big surprise at some non-leaked characters. But if those aren’t coming until summer time, perhaps they wait until the following NEXT event. But I’m not going into the event expecting a surprise (but more on that later). Speaking of the following NEXT event, this is when I expect Peter Pan. Peter Pan isn’t set to come out until August/September of 2016. So no real reason to get him announced now. If they are planning on making these events a “regular” thing (a couple of times a year), then save it for a later one. It’s becoming more and more apparent that there may not be a true Disney Infinity 4.0 as you’d come to expect. Disney Infinity is slowly becoming the “platform” they’ve promised since Day 1. There may be a tease on what’s to come, but don’t expect a big unveiling of what’s to come. Disney could officially unveil on Tuesday 8 – 11 pieces of content for Disney Infinity. I’ve said it before, and I’ll repeat it now. Leaks don’t tamper my excitement one bit. I’ll be just as excited on Tuesday about these figures/content as I was the day they leaked… and so should you! We (should) be able to see them in the physical form, perhaps some gameplay, and more. If Disney only announces the stuff we already know about, it will still be a legendary day for Disney Infinity fans! Like many of you, we wished Disney would have officially announced this stuff a long, long time ago. But you can’t change that now, so it’s time to still be excited about it. Plus really I’m just excited about the possibility of what these ‘events’ could be. This could be Disney’s key to getting a head of the leaks, which EVERYONE is a fan of. So they need to start somewhere, and I’m excited for it too. Bring on Disney Infinity NEXT. I’m beyond excited for Tuesday, and I hope you are too. Tuesday, March 1st, 1:00 PM ET.